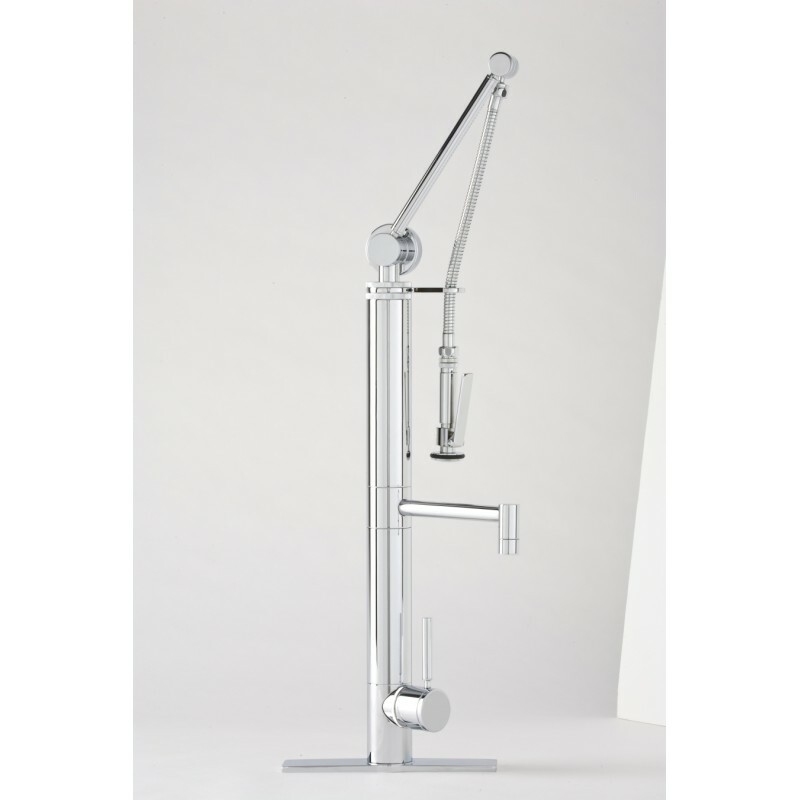 Contemporary Gantry Single Handle Pulldown Kitchen Faucet with straight spout (7 5/8” reach) and built-in diverter for pre-rinse sprayer. Continuous force spring cartridge allows arm to pivot and reach all sink areas for ease of cleaning. 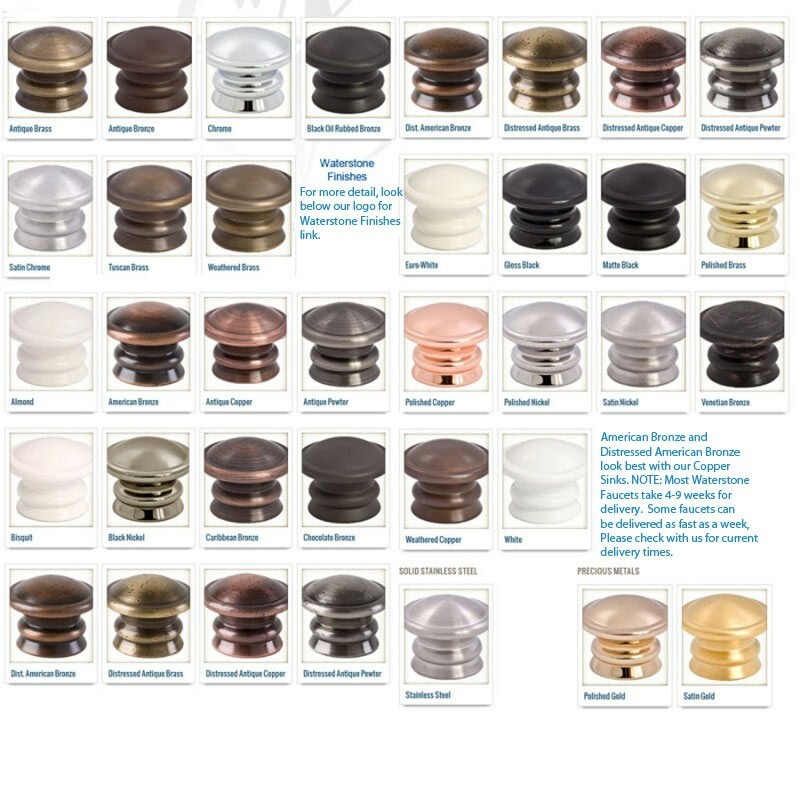 Available in solid brass or solid stainless steel over 30 finishes available!